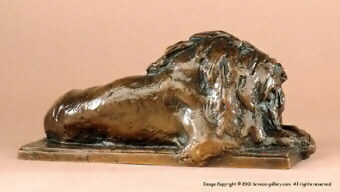 This is a very fine sand cast bronze of one of A. P. Proctors earlier animal sculptures. Proctor returned from Paris in late 1900 and established a studio in New York City. This sleeping lion more than likely was modeled at the Bronx zoo where Proctor spent much of his free time. Being a sand cast bronze done in a similar method to those cast in France, it may have been cast by Proctor himself in his studio. 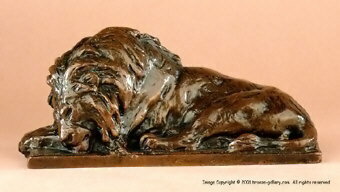 It is finished in a rich brown patina and is dated 1902. 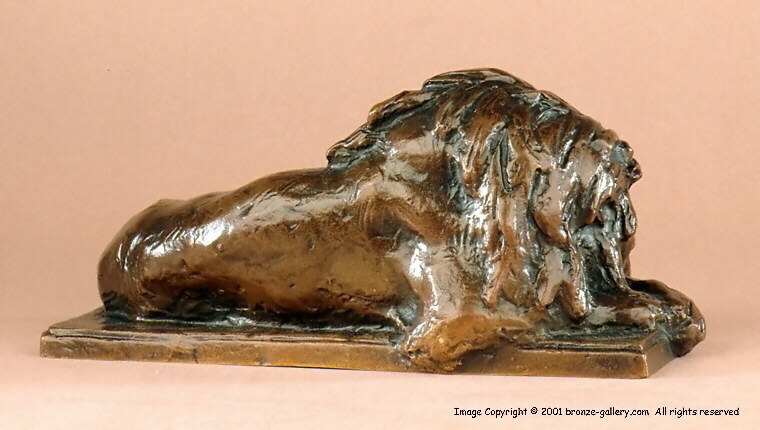 Another example of this bronze is in the permanent collection of the Alexander Phimister Proctor Museum.